Kolkata: Prime Minister Narendra Modi’s poll campaign on Mamata Banerjee’s turf for the forthcoming Lok Sabha elections from North Bengal and not Kolkata isn’t accidental. The constituencies, which will go to polls in the first two phases on April 11 (Cooch Behar and Alipurduar) and April 18 (Jalpaiguri, Raiganj and Darjeeling), are the key areas for the party’s poll plan in the state. Cooch Behar, a reserved seat for Scheduled Castes, had been the bastion of the All India Forward Bloc after its consecutive win from 1962 to 2009. Similarly, Alipurduar saw the Revolutionary Socialist Party dominate from 1977 to 2014. However, with the weakening of the Left Front, the BJP has sensed an opportunity. “These were never seats that voted for the party in power in Kolkata. There was a sense of dissonance that the people here felt from the ruling party. This is what allowed many of these smaller parties to cement their reign,” said a BJP source. In the second phase, BJP is eyeing Jalpaiguri, also a reserved seat for Scheduled Castes, and Raiganj. Like Alipurduar and Cooch Behar, the seat is dotted by tea gardens and infiltrating the politically significant unions of the tea estates is key for the party here. “These workers are mostly tribal people or Dalits. Their rights have systematically been ignored, first by the Left and then by the Trinamool. That is something we have been working on,” a senior BJP leader said. Darjeeling, meanwhile, remains perhaps the most prestigious seat for the BJP. It was in 2009 that the BJP first won the seat with the Gorkha Janmukti Morcha, but the last few years have seen the BJP lose ground here. In 2017, Darjeeling saw a spate of violence, including the longest-ever shutdown of 104 days that brought the entire north Bengal to a standstill. Chief Minister Mamata Banerjee blamed the Centre for supporting “anti-national forces” and eventually, armed forces from the Centre were deployed. The turning point was two bomb blasts in August in Darjeeling and Kalimpong that killed one civic volunteer and injured two others. A lookout notice was issued against GJM leader Bimal Gurung and his associates under the Unlawful Activities (Prevention) Act, forcing him to flee. “This brought the infighting within the GJM out in the open. Binay Tamang and leader Anil Thapa were kicked out of the GJM after announcing a partial withdrawal of the shutdown. Tamang declared this expulsion ‘unconstitutional’ and with Gurung still on the run, he solidified his hold over the party,” said a senior GJM leader. 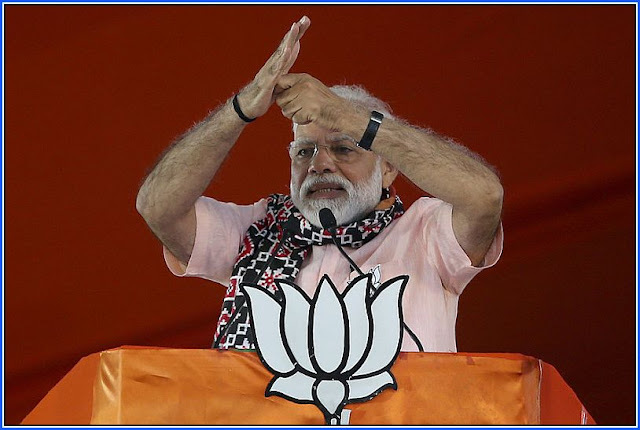 Prime Minister Narendra Modi’s poll campaign on Mamata Banerjee’s turf for the forthcoming Lok Sabha elections from North Bengal and not Kolkata isn’t accidental.